If you need help setting any of these services up let me know and please if you get these services use my referral links. Do right because it right. After struggling for many years with trying to decide whether to do business or ministry, she finally realized that she didn’t have to choose. She is a market place minister and she does it well! 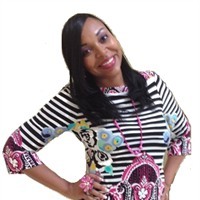 She is a highly sought after speaker and consultant and yet still finds the time to help her husband as Executive Pastor of Abundant Life Christian Center, Inc. in Virginia which she also co-founded. She is a wife of over 24 years to Pastor Mark Anthony Davis, mom of three wonderful children, a sister, daughter, mentor, and a great friend. For Booking Information please call 757-504-0416!